You are invited to join the Southwest Texas MFSA chapter as we further our knowledge of efforts to impact our denomination at General Conference 2012. 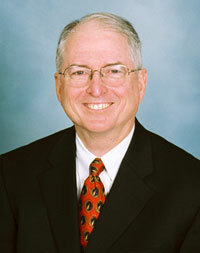 On Thursday, April 12, Jay Brim, the SWTX Conference Lay Leader and the leader of laity delegates to General Conference, will be present to discuss the foremost issues to be addressed by GC2012 in Tampa. Hundreds of petitions and resolutions have been presented, along with significant proposals to restructure the administrative agencies of the United Methodist Church. Jay is a member of Westlake UMC and has long been a friend of MFSA. He has been a member of the UMC General Council for Finance & Administration (1996-2004), a delegate to General Conference and a delegate to the South Central Jurisdictional Conference. He is a member of the UMC Connectional Table, an official entity formed to serve as both the visioning body of the church and the steward of resources to carry out the vision of the denomination worldwide.